Social media has had a tremendous impact on the way businesses communicate. Direct communication between companies and customers, multichannel marketing and stronger brand loyalty are just a few of the benefits of social media. Did you know that nearly all new businesses create a Facebook page? Still, there remains a line between just being on social media and engaging online in a way that actually profits your business. Of the millions of businesses on Facebook, most of them need help generating business from it. Working with an agency that understands the ins-and-outs of like-gating, promoted posts and Facebook ads can be a great solution for growing your business through Facebook, providing you’ve got the cash. 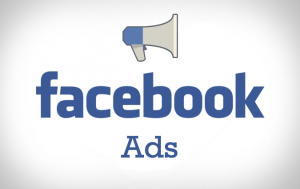 Here are 5 Facebook advertising tips for getting better results for your franchise business from Facebook. Social media marketing is an essential part of business, and it needs to be sustained by a monthly budget in order to be successful. Businesses should not hesitate to pay for Facebook campaigns, or offer discounts on their social media channels, because these small expenditures regularly deliver positive ROI. The helpful advertising tools offered on Facebook, combined with creative marketing services from an agency, will guarantee the best results. Facebook reported last month that over a billion of its users access the site from their smartphone. That statistic should encourage businesses to make their promotions more mobile friendly. There’s a Facebook plugin for Google Chrome called Power Editor that allows businesses to send promotions exclusively to mobile users. Studies show that mobile ads earn up to 2.5 times more than desktop ads, but results may vary depending on your audience. Learn more about Facebook’s Power Editor here. One of the most successful ways to increase your online following is by posting giveaways or special offers that entice your followers to interact with you. Facebook has a great tool for creating and distributing offers that can help generate leads and expand your reach. The advantage to using the Facebook tool over simply posting an offer on your company page is that the tool will guarantee greater distribution, and your fans can redeem the offer with the click of a button, which will then automatically advertize your offer on the person’s news feed. Before you know it, your business is everywhere! When creating your offer, keep in mind that free giveaways go a long way with most audiences. Learn how to use this tool here. When you create ads on Facebook you get the option to select who you want to see your ad. This works particularly well if you already have an email list of customers. You can upload that email list to your Facebook page and then send them updates whenever you want. This tactic has proven successful in generating more sales. Some companies have reported a 25-time return on their ads. To learn how to customize your audience, click here. A picture is worth a thousand words, so let your images speak for you. The 20-percent rule means that when you post about a product, an offer, or an event, only allow 20 percent of the space for words, and let the remaining 80 percent of the post show your audience what you’re talking about. This is a proven method for getting people to pay attention to your company. If your images are engaging, it will entice your audience to share them with others, which will help build your presence online. If you’d like to point your business in the right direction on Facebook, we can help. Please contact us using the form below.